Since Alex Orbito decided to include an overnight stay and meditation in the Holy Cave during Easter Week, many visitors experienced powerful energies and witnessed miraculous events. Over the years, there has been a constant repeated message (through mediums as well as Alex Orbito himself) to built a Pyramid of Light next to the cave. 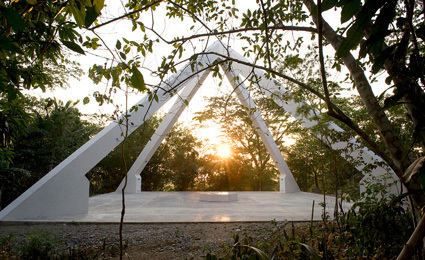 For this reason, in April 2006, the Foundation Pyramid for Light was founded in the Philippines with the aim to create a Spiritual Retreat in this place for all of humanity in search of (self) realization. It's also called the Soul Pyramid since the whole place around the Holy Cave inspires one to go into silence and inner connection. 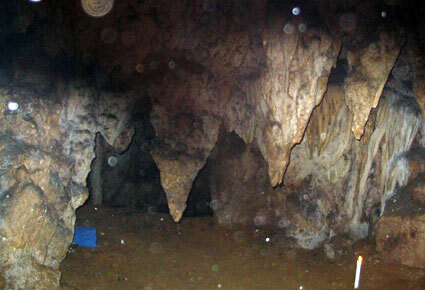 The lands next to the Holy Cave in Mabini, Philippines have already been purchased and placed within the Foundation. The board consists of Rev. Alex Orbito, Claes Noremark (Sweden), Marika Verheijen (Spain), Atty Precioso Perlas and Irene Sandoval (both Philippines). Over the past decades, The Spiritual Help Foundation, founded by Rev. Alex Orbito in 1980, has been sponsoring community buildings, countless scholarships for college and high-school students, and food and clothes distribution in several needed areas in Cuyapo and Pangasinan. Yearly, more than 100 children are being sponsored by Alex Orbito in their secondary and occassionally college education. Through the initiative and co-operation of the Fred Foundation in the Netherlands with the Opportunity International and ASKI organisation in Philippines, the first micro credits were handed out in the remote and poor area of Nagcularan, where Rev. Orbito was born. The goal of this micro credit project is to offer constructive en self-empowering help to people in chronic poverty enabling them to live a more decent and human existence through low credits, guidance and know-how.